What is Cross-Border E-Commerce Anyway? It is essentially the buying and selling of overseas products through e-commerce platforms. E-commerce in China has been growing at staggeringly large rates, yet how much of this boom is driven by cross-border trade? 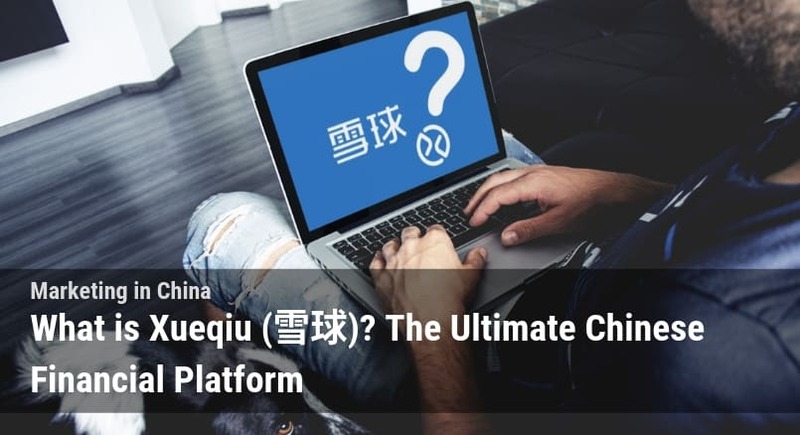 We’ll tackle questions like this in this blog and give you an overview of the China cross-border e-commerce situation. 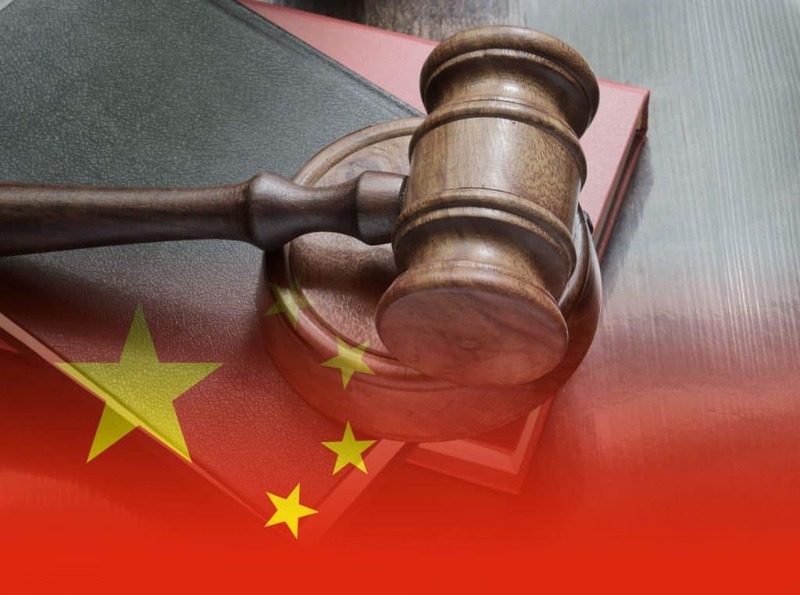 Those involved in the China Cross-Border E-Commerce trade were given quite a scare, when officials signaled that legislation that allowed for the practice was to be changed this year. The threat was directed at the existence of “bonded warehouses,” warehousing facilities specifically purposed for storing overseas goods. These warehouses allowed merchants to bulk ship products to China without being subjected to commercial import duties or strict quality control measures. The existence of these warehouses has fueled the boom in China cross-border e-commerce. Naturally, any indication that this program would be ended caused panic among merchants. Luckily on January 1st 2017, the government announced that it would continue to allow the practice to continue for the near future, with an increased import tax. In addition to the increased tax, the government allowed the creation of 5 new zones where bonded warehouses could be created in Dalian, Hefei, Chengdu, Qingdao, and Suzhou. This is in addition to the original test sites in Shenzhen, Zhengzhou, Ningbo, and Hangzhou. As of now this method of selling into China is still completely legal and is the preferred method of many brands in China. 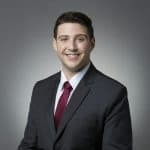 While the government may change this policy, it is unlikely that they would change policy in a way that would deal significant financial damage to companies operating under this system. Almost anyone involved in the e-commerce industry recognizes the potential that China holds. With increasing disposable incomes and greater knowledge of foreign products and product quality, the China cross-border e-commerce market is expected to grow significantly. China’s ministry of commerce reported that cross-border e-commerce reached 6.5 trillion yuan in 2016, which accounted for nearly 20% of all of China’s foreign trade. It also projects that it will grow at annually at around 30 percent in the next few years. 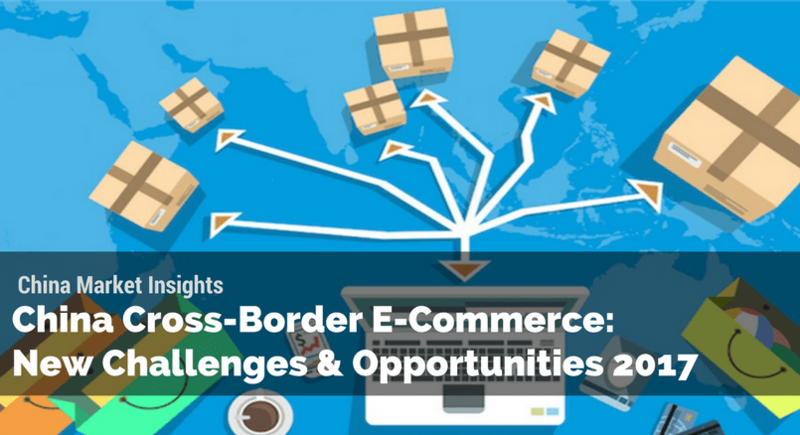 With nearly 41 million cross-border shoppers in 2016 this would mean nearly 58 million consumers will be shopping via cross-border e-commerce. How Much Will A Chinese Spend for a Cross-border Purchase? A survey in the China Daily reported that more than 15 percent of the Chinese population had purchased goods from abroad in 2016, and spent an average of $473 each on cross-border purchases. 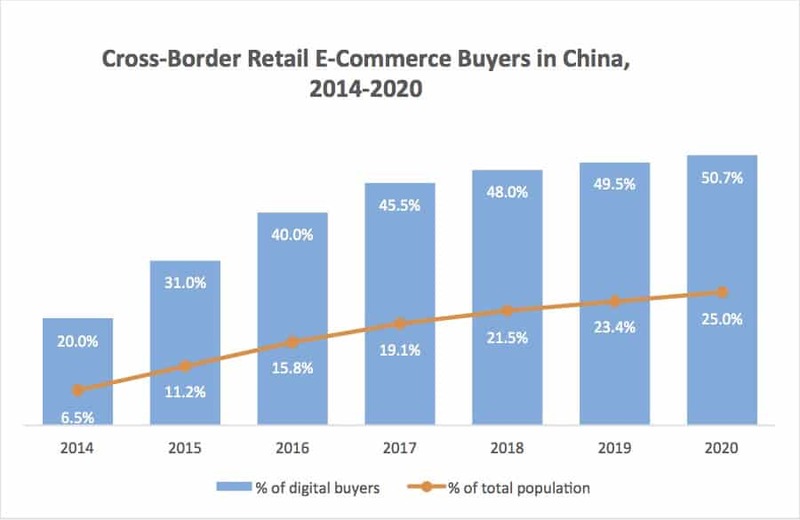 With the e-commerce market in China expected to double in the next 5 years, there is clearly a significant opportunity for cross-border e-retailers in China. Who Are Those Cross-border Online Shoppers? The China E-Commerce Research center also released data regarding demographics of cross-border e-commerce shoppers in China. They found that the majority of shoppers are relatively young with the largest group being around 30 years old. Surprisingly the largest portion of these shoppers was also male. According to the report males represented 62.6% of cross-border e-commerce shoppers. Which Cities Should You Target? The top markets for cross-border e-commerce were naturally in the larger cities. The top 5 cities were Shanghai, Beijing, Hangzhou, Guangzhou, and Shenzhen. Growth was also present in smaller cities, however, with 31% of new customers coming from 3rd or 4th tier cities. While Chinese consumer purchased a range of goods from overseas there were several categories that were clearly more popular than others. It was also evident that Chinese consumers preferred products from certain countries over others. The top 5 countries exporting to China through Cross-Border E-Commerce, were Japan, The USA, South Korea, Germany, and Australia. Japanese and Korean exports were made up of mostly cosmetics and serums. Western countries were more popular for their baby products, food, and vitamins/supplements. 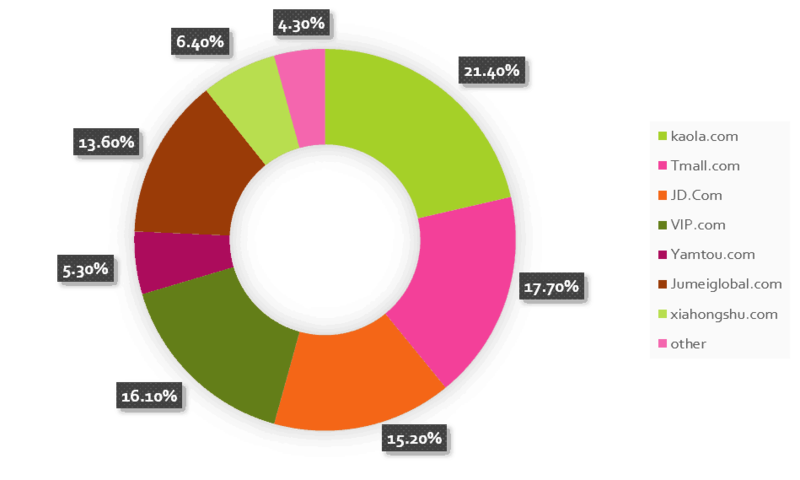 Of these product categories, the two that were most popular among Chinese consumers were cosmetics and baby products. This is primarily due to the fact that domestic products are considered to be of inferior quality and relatively similar in price for these particular categories. China Cross Border E-Commerce: Which Platforms to Use? I’ll provide a brief introduction of the various platforms used for cross-border e-commerce in China. Each of these platforms have become highly popular among Chinese consumers and offer distinct benefits to overseas e-retailers. By market share the most popular platform is Kaola.com, followed by the well-known titans of E-commerce in China, T-Mall, JD, and VIP.com. We’ve already covered some of these platforms in our previous blogs, so we’ll talk about a few others here. Kaola.com is owned the large Chinese company Netease. 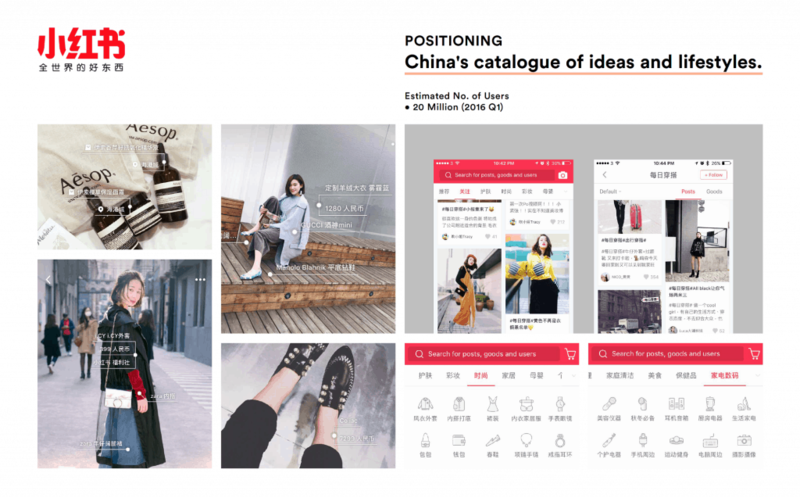 Netease previously specialized in email and gaming, however e-commerce has grown to be a large portion of its business since the launch of Kaola in 2015. 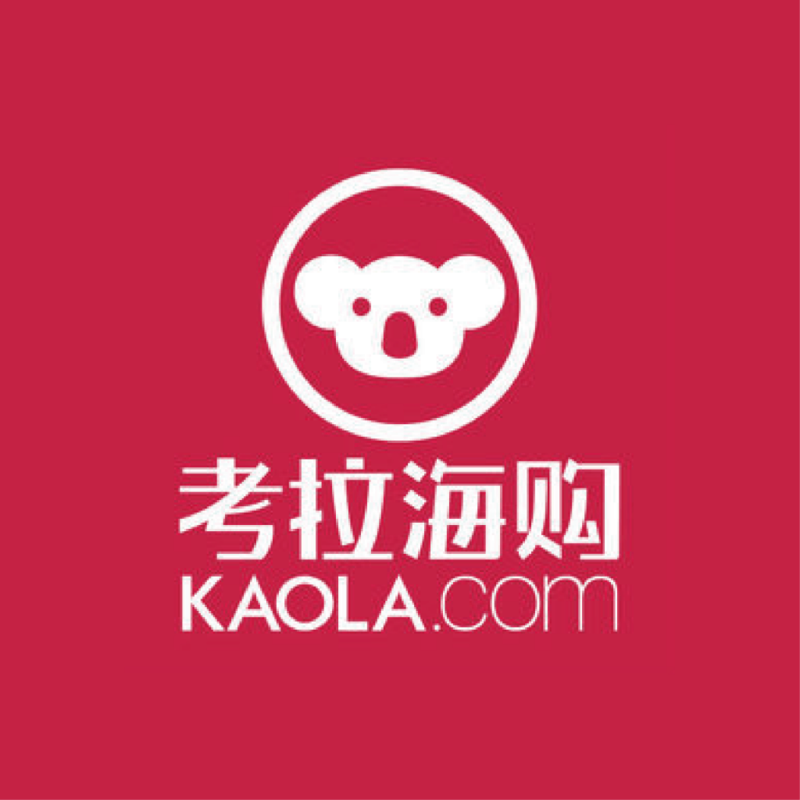 Originally hoping to provide a platform for selling Australian products in China, Netease chose the name Kaola, which translates to Koala. NetEase spokeswoman Maggie Liu said the koala was chosen as a symbol because, like the marsupial, NetEase wants its online customers to be “lazy and comfortable, — while it does all the hard work of delivering the best foreign products to people’s doors. While it originally focused on Australia, E-retailers from over 40 countries now sell their products through the Kaola platform. With its other resources in news and gaming the company has been able to drive users onto the platform and build trust in the platform. Miyabaobei is an ecommerce platform that focuses primarily on overseas products made for infant care. Popular products on the platform include baby formula, clothing, toys, and all other types of products for babies. 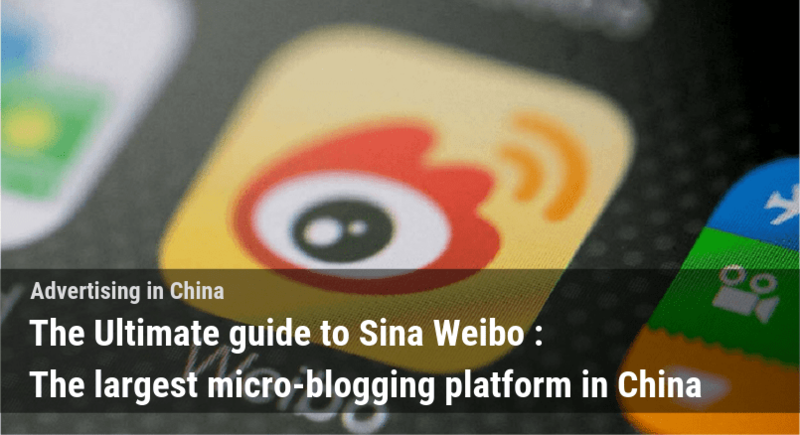 Miyabaobei started as a storefront on the popular e-commerce platform, Taobao. 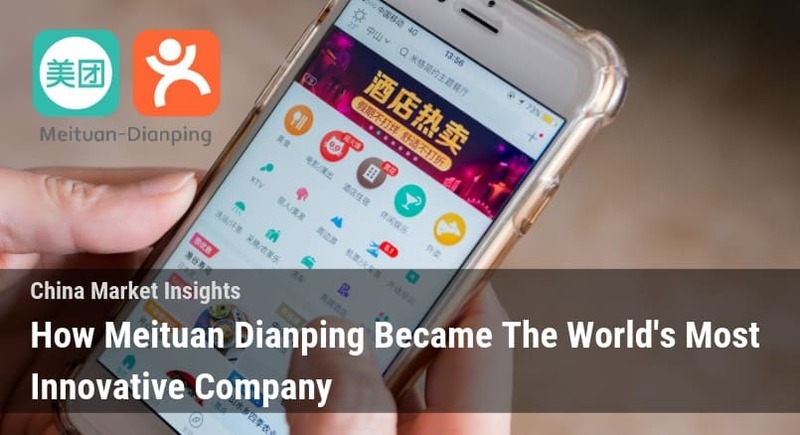 It eventually had enough sales coming through it’s Taobao storefront that the company decided to open its own e-commerce website and develop its own mobile app. Demonstrating the dominance of mobile in China, Miyabaobei states that nearly 75% of its sales are made through its mobile app. 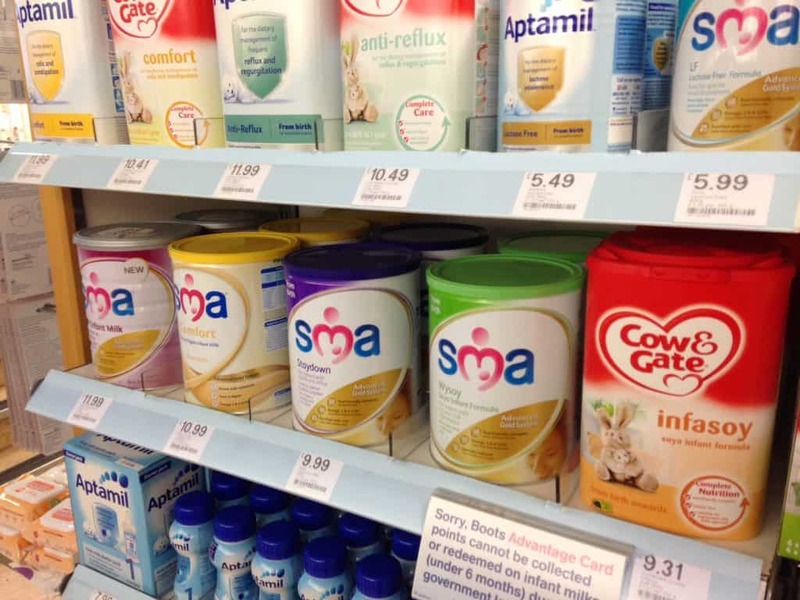 Demand for imported baby products has been caused by massive scandals in domestic industries, such as the incident in 2008, in which melamine-tainted milk was sold by one of China’s largest baby formula producers. Due to its ability to provide high-quality products from overseas Miyabaobei has seen consistent year on year growth in sales. Miyabaobei is only expected to growth further in the future as it plans to offer even more overseas products to Chinese consumers in the future. XiaoHongShu is a relatively new platform launched in January 2014, and already has a user base of over 25 million. The site is both a social media platform and an e-commerce platform. It allows users to post pictures of their favorite products and allows users to buy them directly through the platform. The platform’s target audience is primarily women aged 18-30 years old. Its most popular products are cosmetics and beauty products from overseas. 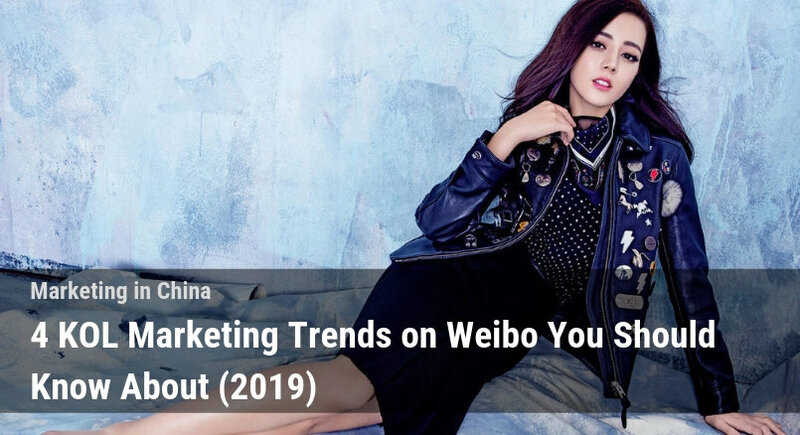 While it has formed strategic partnerships with many large cosmetic brands, it is also quite accessible to smaller brands hoping to expand to China. Aside from its e-commerce functionality the site aims to educate users on how to shop when traveling abroad. Popular user-generated content includes guides on how to shop while traveling abroad, and videos of travelers documenting their shopping experiences abroad. Yangmatou was one of the first movers in China Cross-Border E-Commerce. Yangmatou was launched in 2009 and still boasts considerable market share for China cross-border e-commerce. Yangmatou offers a variety of products, but focuses primarily on the popular product categories for cross-border e-commerce. These products include baby products, beauty products, nutrition products, clothes, shoes, and handbags. Yangmatou relies heavily on Chinese interest in foreign products to sell goods. It includes flags of the country where a product was produced with every product listing. Yangmatou’s product descriptions are also very detailed, which helps to prove to consumers that products are genuine. The site claims to have over 10,000 daily orders and over 1 million users, and partnered with Paypal recently to allow for easier transactions with foreign brands across the world. If you’re interested in getting started with selling your products into China e-commerce is always a great option. If you need help deciding which platforms would be best to sell your products through or need some advice please leave a comment below! or contact the Dragon Social team here! Hello,I read your blog on a regular basis.Your writing style is awesome, keep it up! مهرجانات.